The cardiologists at Lahey Hospital & Medical Center are skilled in diagnosing and treating advanced heart failure, a condition in which the heart is no longer about to pump enough blood to meet the demands of the body’s vital organs. Heart failure is often caused by coronary artery disease or high blood pressure, but it also can result from heart valve problems, viral infections, excessive alcohol use, irregular heart rhythms, and other reasons. Some patients may have heart failure due to a Cardiomyopathy, which is when the heart muscle is abnormal and does not pump efficiently, due to weakening, abnormal thickening, or other systemic medical problems that can affect the heart. Symptoms of heart failure include labored breathing, fluid accumulation (especially in the legs), and fatigue. The diagnosis of heart failure is made by considering person’s medical history, a physical examination, and specialized cardiac testing. The term heart “failure” is an unfortunate one, implying a hopeless condition. In reality, heart failure is a very treatable condition, and many patients will enjoy a good quality of life. 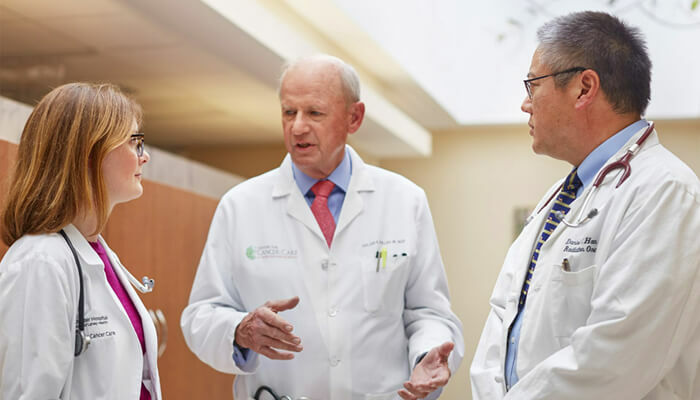 A broad spectrum of treatments and services are available, and at Lahey, we are proud to offer many of them through our Advanced Heart Failure and Cardiomyopathy Program. The diagnosis of heart failure is not always obvious, since the symptoms and signs can be mimicked by many other conditions. Through the Advanced Heart Failure Program, Lahey provides consultations with physicians who are board-certified experts in the field of Advanced Heart Failure, and who are experienced in the diagnosis and treatment of all types of heart failure, and can provide access to specialized heart tests, as necessary. Prescription Medications: A host of medications have been developed to prolong life and improve quality of life for heart failure patients. These medications require careful administration and monitoring, which can be performed by Lahey cardiologists and staff. As new medications are developed, they are studied in research trials, and Lahey patients often actively participate in these trials. Selected patients with severe heart failure may require special intravenous medications to treat their heart failure (Milrinone, Dobutamine), which can help them feel better and prevent them from coming into the hospital, particularly if they have been hospitalized with heart failure recently. Lahey can offer this treatment to appropriate patients who have more severe heart failure symptoms. Resynchronization Therapy: In the case of specially selected heart failure patients who have not achieved the optimal benefit from conventional treatments, the insertion of special (biventricular) pacemakers often results in significant improvement in symptoms and exercise tolerance. Lahey has been a leading center in this treatment for over 10 years. Heart Transplantation: Lahey offers heart transplantation evaluation for patients with severe heart failure, who meet the established eligibility criteria. 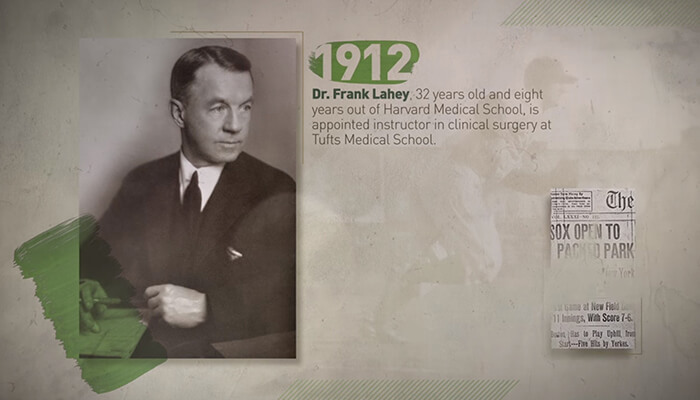 If transplantation is considered appropriate, the surgery is performed through Lahey’s affiliation with the Tufts Medical Center Cardiac Transplant Program. While the transplant surgery itself is performed at Tufts, our patients still receive the majority of their care at Lahey, and can have virtually all of their testing and care locally at Lahey. Left Ventricular Assist Devices (LVAD): Patients with acute, life-threatening heart failure occasionally require artificial circulatory support, in the form of an LVAD, which is a pump that functions like a “helper heart pump.” Lahey can provide this intervention, either through the conventional aortic balloon pump or through newer non-surgical LVADs that bypass the main pumping chamber of the heart. In addition, carefully selected patients can be evaluated for surgically implanted LVADs, which can be used in certain patients awaiting heart transplantation, or other patients who may be considered for this type of pump as a form of long-term treatment (“destination therapy LVAD”). These LVADs may allow for patients with severe heart failure to return home, and regain some quality of life. Patients with heart failure are often elderly and fragile, with multiple other health problems. Consequently, they typically take a number of medications. We believe such patients benefit most from intensive monitoring, and the Lahey Heart Failure Clinic provides medication adjustments, education, dietary supervision, emotional support, and any consultations necessary. Lahey’s Heart Failure Clinic is staffed by nurse practitioners and pharmacists specializing in heart failure, working closely with board-certified cardiologists. As a result of their involvement, Lahey heart failure patients experience improved quality of life and reduced hospitalizations. Heart Failure Clinic: Too often, patients are trapped in a vicious cycle of progressive symptoms. Many patients seek medical help only when they are too sick to be managed as outpatients, prompting emergency hospitalization. The Lahey Heart Failure Clinic was developed to interrupt this vicious cycle for patients with moderate to advanced heart failure. The goals of the Clinic are to increase patients’ functional capacity and their sense of well-being, and to reduce readmissions for heart failure. Heart Failure Clinic Services: Patients are thoroughly evaluated by a cardiac nurse practitioner specializing in heart failure management. 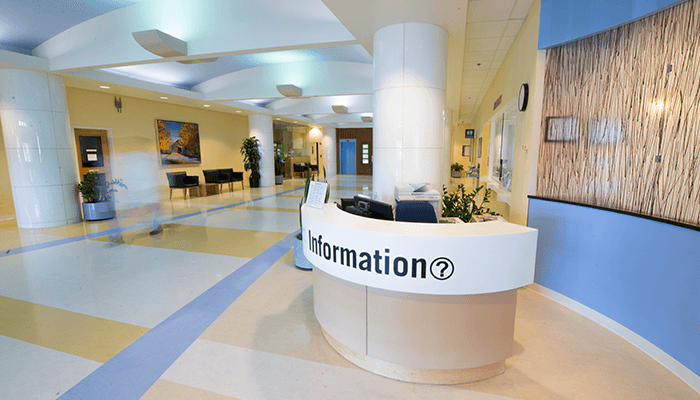 A multidisciplinary team is available to meet each patient’s unique needs. Aggravating conditions related to heart failure, such as ischemia, are identified and treated, and pharmacologic treatment is optimized. In addition, patients receive intensive education about heart failure, proper diet, and exercise. Frequent telephone follow-up outside the Heart Failure Clinic is also utilized. 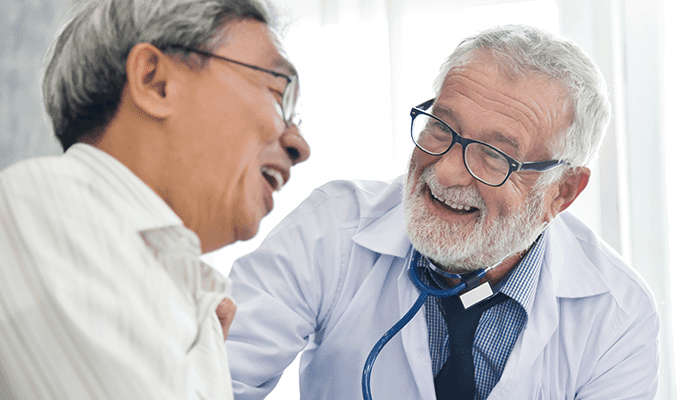 Patients whose illnesses cannot be managed on an outpatient basis and require hospitalization are re-evaluated by the cardiac nurse practitioner and a cardiologist. Patient care is highly individualized and focused toward achieving optimum health and wellness. Enrollment in the Heart Failure Clinic is performed at the request of referring physicians. Physicians may contact Nancy Todd, NP, at 781.744.8840. Cardiac Sarcoidosis: The Advanced Heart Failure team at Lahey provides specialty evaluation and treatment for patients with Sarcoidosis, who may also have cardiac involvement. 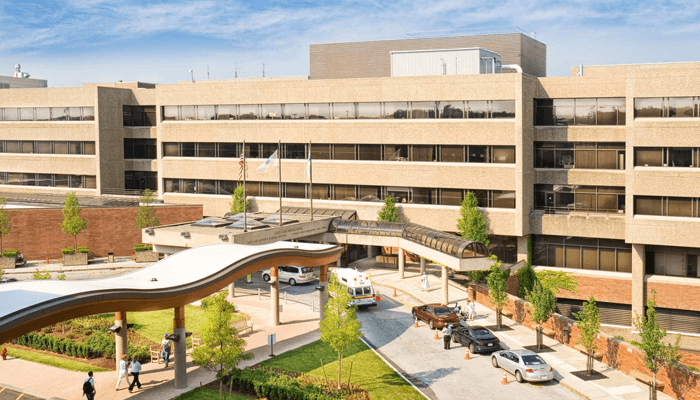 The diagnosis of Sarcoidosis can be very difficult to make, and the Lahey Hospital & Medical Center has been a Sarcoidosis referral center for many years, especially in the Pulmonary and Rheumatology departments. Patients can be evaluated by a cardiac specialist, who will determine the most appropriate testing to be performed in their case, utilizing the most advanced techniques available. 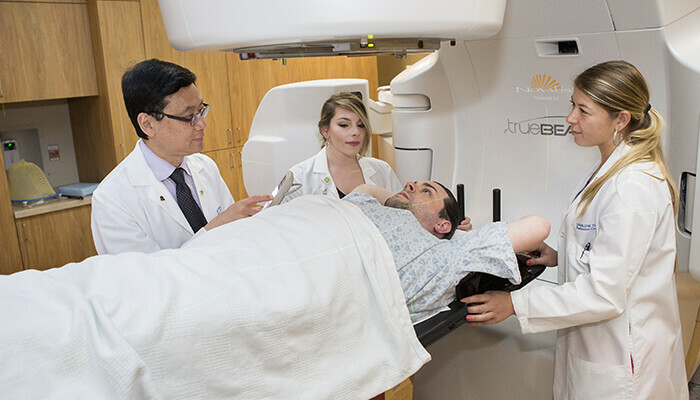 Then, the patient’s testing and treatment plan will be reviewed by a multidisciplinary team, which includes cardiologists, pulmonologists, rheumatologists, and cardiac imaging experts. Cardiac Sarcoidosis can be a complex medical problem, and Lahey is proud to be one of only a few medical centers that offer this type of multidisciplinary approach. CardioMems Sensor: Advanced heart failure (HF) is a debilitating condition, with measures of quality of life and rates of mortality that are worse than many types of metastatic malignancy. 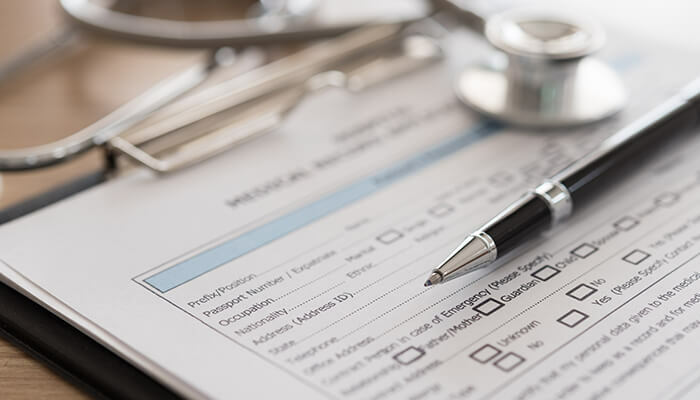 HF is also the most costly reason for hospital admission in the U.S., and nearly one quarter of all HF patients are re-hospitalized within 30 days. Symptomatic deterioration in heart failure is predictably preceded by measurable increases in pulmonary artery pressures days to weeks before the patient perceives any symptoms or gain in weight. Until recently, however, only invasive right heart catheterization was capable of detecting these asymptomatic increases in pulmonary artery pressures. The CardioMems sensor, a unique radiofrequency pressure sensor, was developed to remotely monitor the pulmonary artery pressure and provide this information to heart failure clinicians on a daily basis. The device is implanted in a distal branch of the pulmonary artery, and has no battery to replace. The implant procedure is done as a same-day outpatient procedure, and is quite brief. The CHAMPION Trial included 550 patients who were implanted with the CardioMems device, and found that using the daily pulmonary artery pressure data decreased heart failure hospitalization by nearly 30% over 6 months, and was also associated with significant improvements in quality of life (see Figure). The Lahey Hospital Advanced Heart Failure program is currently implanting the CaridoMems device in patients with NYHA class III (moderate) symptoms, and a heart failure hospitalization in the past 6 months; especially those who have difficult-to-manage or assess volume status. If you have an AHF patient you would like to consider for remote pulmonary artery pressure monitoring, please contact Sachin P. Shah, MD by phone 781.744.8002 or email: [email protected]. Visit the Landsman Heart & Vascular Center to learn more about Lahey’s Heart Failure Clinic.